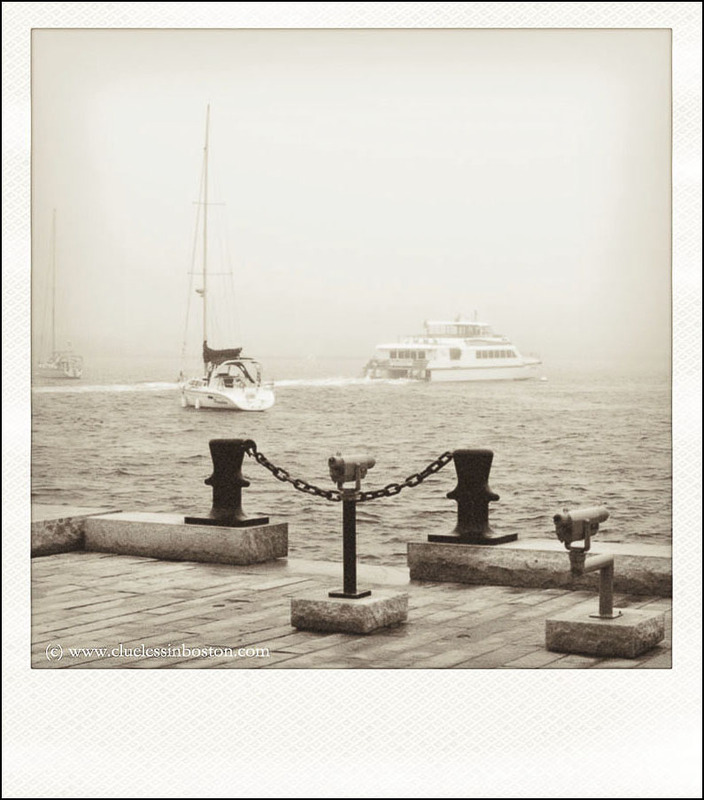 A Polaroid style view of boats moored in the harbor on a rainy and foggy day. The mood is set with the composition and style of your photo. I think that you may have many of these in Boston's spring. This has such a timeless feel. It seems we could be on one of those boats sailing into a different era. I agree with brattcat, it's an image from another time, really love it! Nice shot, Clueless. The fog and the black-and-white and a little graininess give it the feeling of a quiet moment in the 1950s. Mmmm...I do like fog rolling in from the water. Nice capture. I also thought the same thing as brattcat. Beautiful and timeless! It looks very old and stylish. Black and white are so right here. Love foggy days and this is a super treatment of a great photo. Not a bad place to be at all!